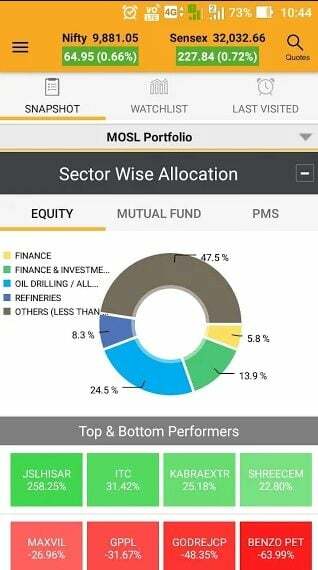 Motilal Oswal MO Investor App - Review, Usage, Charges, Features, etc. Motilal Oswal Finance Service Limited was founded in 1987, offering a range of financial products such as wealth management, retail broking, institutional broking, private equity, commodities, currencies, mutual funds, and derivatives. Today along with diverse financial products, it offers a unique approach to buying/selling stocks through robust online platforms. Below we will discuss about Motilal Oswal MO Investor App in details. 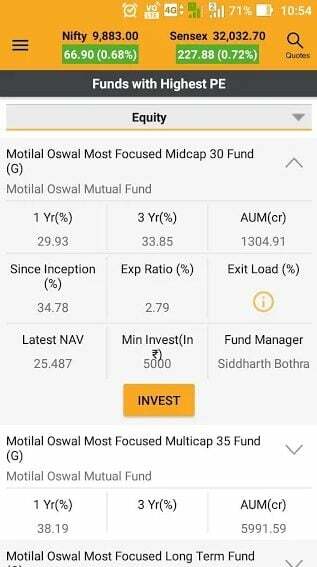 Motilal Oswal MO Investor the trading app offers excellent customers trading experience through its comprehensive features like recent news alert that contains diverse e-news and trading educational articles, chart reveals the pricing data of stocks, offers the largest selection of the research report, performs technical and fundamental analysis, market watch, and live streaming quotes. MO investor is the cutting edge of app development, which simply means, at low speed of internet it will run smoothly, along with that its advanced features allow you to manage your portfolio and invest in the right direction. If you are a trader, want to trade from your phone, then Motilal Oswal MO Investor is only for you. 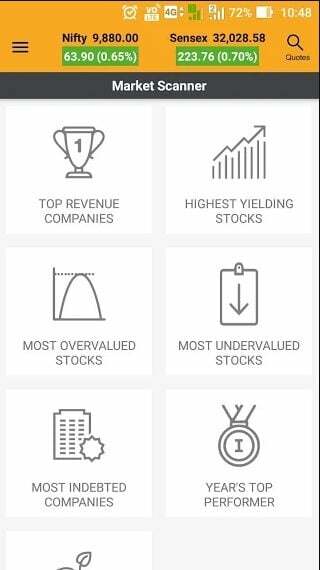 With the help of this app, you can buy/sell stocks from the phone, can check real-time profit and loss, manage the portfolio, trade directly from the chart, get real-time updates about the economic event and easily access the last stock search. Get a Call back from Motilal Oswal – Fill up the form now! Without any doubt, MO Investor is a great app for a newbie, freelance stock marketer and of course experience geeks. Here we have listed all top features of this app that inspire you to trade through this app. Comprehensive Portfolio Snapshot: This feature enables you to get comprehensive and smart insight about your favorite portfolio. It is integrated into the app to assist traders in meeting their financial goals. Along with that, it will give a snapshot of your trading performance. Quote Page: The Motilal Finance service was honored with the award with “Best report research company” by Zee News. It covers 30,000 plus research reports, 260 plus stock covered and 40 plus report types. Which simply means, here you will get complete information about the company searched by you. Robo Wealth: This feature gives you positive as well as negative updates about your favorite portfolios, gives you a recommendation in multiple languages (English, Hindi, Gujarati, and Tamil) and provides automatic right investing asset allocation based on your risk profile. Target Investing Plan: This feature gives you real-world trading experience, like how to invest, when to invest and where to invest. If you are a newbie trader then this feature is a permanent guide for you that will help you round the clock with rebalancing suggestion goals. Advice on Combination of Equities: No matters, how much you are a professional in investment and trading, somewhere you need expert help. This feature gives you the right advice as per your risk profile. The thing that makes this app different from human advice is that it is not emotion bias. The advice you will get only on the basis of technical and fundamental analyses. 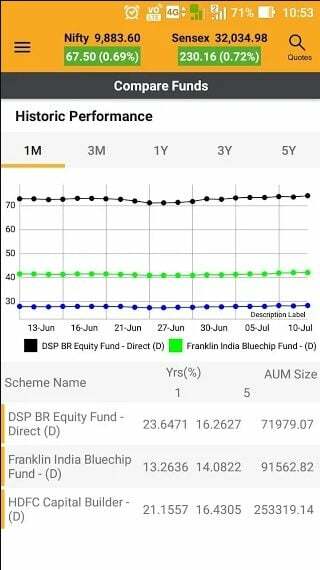 Rich Mutual Fund Selection: The only motive to integrate this feature in this app to enhance the investment experience. Tools like fund scanner and fund comparison help in making the right decision in investment along with that you can take the snapshot of your MF holdings. Stock Scanners: While trading the troublesome task to find the stocks, which match with our risk profile. This feature offers you top scrips as per your pre-defined criteria. So, from now onwards you don’t have to waste your time on research work because this feature will let you know all stocks that match your strategy. Place bulk Orders: This feature allows you to place multiple orders on one click. How to Set up Motilal Oswal MO Investor App? Motilal Oswal MO Investor is the extremely high rated app that gives you round the clock new opportunities. Trading through this app you will never feel you that trading is the confusing adventure. Because of its set of tools that always keep you updated with new stock marketing trends and risk alters. Following are the steps that will help you in setting up this platform. This app is available on Android and IOS platforms. In order to download this app, go to the play store and the search Motilal Oswal MO Investor app. Once it gets installed, there are two ways to log in this app, either you log in as a client or a guest user. As a client user, you need to submit your Client ID and password. As a guest user, click on the signup, enter your details and submit. The password will be sent to your registered email I.D. Once you logged in successfully, get the overview of this app and start trading. How to own MO Investor App or MO Investor App Charges? MO investor is a free trading app. But, in order to access this app, you have MO demat account, which opening charge is Rs. 500. Along with that at every transaction, MO trading app will deduct Rs 20 as a price per transaction. There no monthly and annual subscription fees. This app allows you to transfer fund instantly in one click. This app alert you upcoming stock marketing event every day. MO gini round the clock automated customer care representatives available to resolve your issues. Excellent app for the beginners. This app enables traders’ quick access to news, price analysis, portfolio, and detailed financial information. The biggest advantage of this app is that allows the automatic investing based on the trader’s risk profile. With the help of a tracking tool you can learn how stock marketing work. Technical and fundamental analysis boosts your favorite portfolio and allows you to trade anywhere, anytime and from any platform. This app allows traders to a quick overview of key statistics. The chart plotting is clean and easy to understand. Requires latest version of mobile handset for fast and smooth working. Rs 20 deducts on every online transaction. No personal connection with brokers. Relatively new in the market. Requires basic technical skills to execute trading. Trading and investing are the saving of the future and every trader and investor want to invest their money through the best platform, which helps in trading and investing round the clock. There are so many trading apps are available in the market. It is a troublesome task for the investors and traders to pick the reliable one. Let us do your work easy, as per the user experience and ratings MO Investor trading app is one of the most user-friendly apps and based on new generation tools and techniques that allow clients to trade in the right direction. Along with the clean interface and bug-free dashboard this app offers updates about the economic event, regulatory changes, alert you about stock pricing and offers no- investment fees. Thus, this app is best for the active, lazy, busy, old handed, and freelancer investors.